Northridge Insurance Agency - offering a wide range of insurance solutions that meet customer's demands. Contact agents Jason Kottke and Diane Stydnicki at Northridge Insurance Agency to help you with all of your personal and commercial insurance needs. With many carriers to choose from, they promise to work hard to find you the best coverages at the best rates possible. 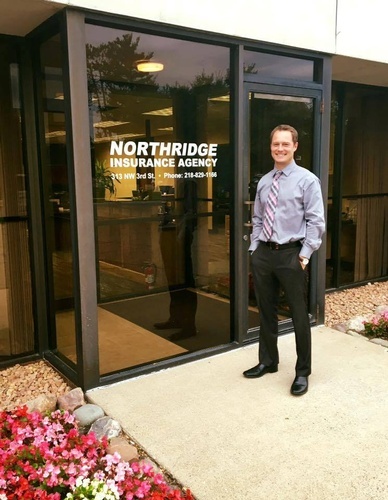 Northridge Insurance Agency, Inc. has been successfully meeting the needs of our customers since 2001. We’ve grown our agency from the ground up, and we’ve accumulated years of experience to ensure our clients’ security and safety. Our dedicated staff is knowledgeable and work hard to make sure you don’t have to worry about a thing. As and Independent Agency, we have the opportunity to quote your insurance needs with many different carriers to find you the best coverage at the best price. Whether it is Home, Auto, Umbrella, Life, Health, or Disability Insurance you are looking for, we have something to offer. Commercial Insurance is also a big part of what we do and we have some excellent carriers to cover your Commercial General Liability, Commercial Building, Commercial Property, Commercial Auto, Workers Comp, or Bonding needs.